This blog post will quickly get you off the ground and show you how Kafka Streams works. We’re going to make a toy application that takes incoming messages and upper-cases the text of those messages, effectively yelling at anyone who reads the message. This application is called the “Yelling Application”. 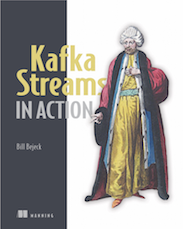 Maybe you know a bit about Kafka and/or Kafka Streams (and maybe you don’t and are burning up with anticipation…). Rather than tell you about how Kafka Streams works and what it does, I would like to jump straight into a practical example of how you can apply Kafka Streams directly to the purchase flow transaction – so you can see Kafka Streams in Action for yourself! The Hosebird Client from Twitter’s Streaming API will be used to create the stream of data that will serve as messages sent to kafka. The last post covered the new Kafka Streams library, specifically the “low-level” Processor API. This time we are going to cover the “high-level” API, the Kafka Streams DSL. While the Processor API gives you greater control over the details of building streaming applications, the trade off is more verbose code. In most cases, however, the level of detail provided by the Processor API is not required and the KStream API will get the job done. Compared to the declarative approach of the Processor API , KStreams uses a more functional style. 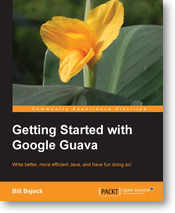 You’ll find building an application is more a matter of stating “what” you want to accomplish versus “how”. Additionally, since many interfaces in the Kafka Streams API are Java 8 syntax compatible (method handles and lambda expressions can be substituted for concrete types), using the KStream DSL allows for building powerful applications quickly with minimal code. This post won’t be as detailed as the previous one, as the description of Kafka Streams applies to both APIs. Here we’ll focus on how to implement the same functionality presented in the previous post with the KStream API. My name is Bill Bejeck. I am a Software Developer, Husband and a Dad of 3. I like to run and I’m addicted to coffee. My personal hero is the Black Knight from Monty Python and the Holy Grail.